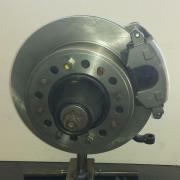 Part#1847- Kit includes New calipers, new rotors (12-3/4"), 18" braided stainless lines, brackets and bolts. You would want a dual reservoir as for size, not sure. Backing plate kits that will fit spindles for 1928-1948 Ford spindles, rear ends for 1928-1948 and 9" Ford rear ends. The backing plates include the hardware, wheel cylinders, and shoes. Backing plates are available in 1 3/4" (for use with original 1936-1948 drums) or 2" shoes for use with Lincoln style drums or Finned Buick drums. 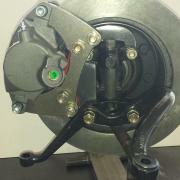 Rear backing plate kits come with internal emergency brake mechanism and hardware. Please specify 2' or 1 3/4" shoes when ordering. 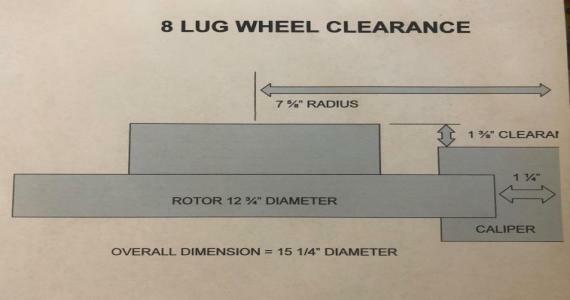 Customers with 1928-34 Spindles require adapter rings on hubs. Customers with Model A Banjo rear ends 1928-31 require 4 spacers (2 per side) to allow new baking plate to clear spring. Includes Stainless Steel or Brass Screens and Hardware. 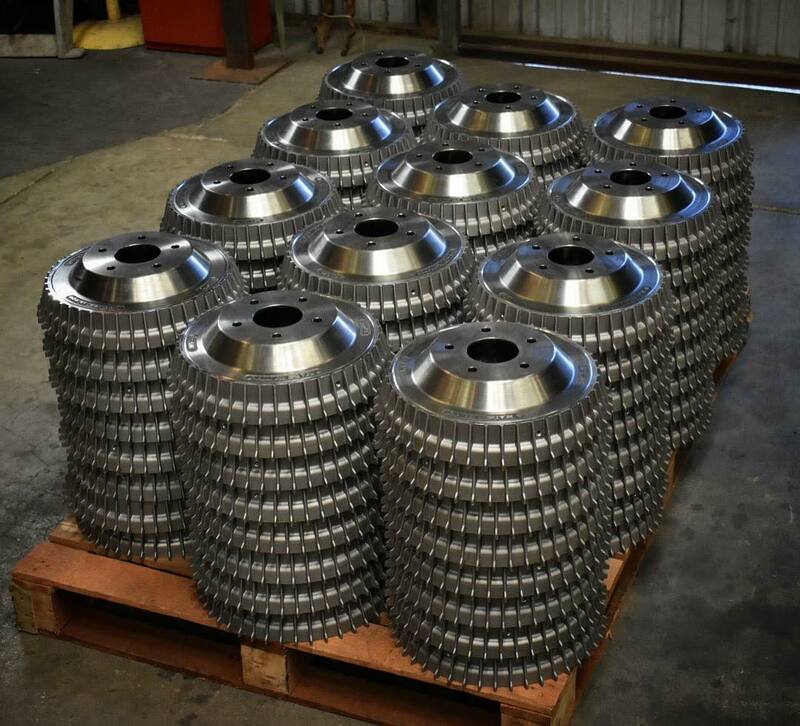 Cast steel drums are fully machined. Drums have radial fins along outer lip. 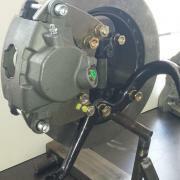 Casted and machined in the U.S.A.
MT Hydraulic conversion is an easy to install kit. The kit comes with everything you'll need, including the necessary adapters for the conversion. The kit does not include the hydraulic brake lines and emergency brake cable, it's up to the owner to decide where to run these. You will have to slightly modify the spindles and the rear axle for the conversion to fit properly. Model A kit without Battery Box/Master Cylinder. Call for pricing. Please note the picture is the Model A kit. However, the emergency brake cables, hoses and fittings do not come with the MT kit. Brake drums and shoes also come with the kit. They are not pictured here. When converting your Model A Banjo rear end to MT brakes these two spacers must be used to acheive proper clearence for the brake line between the wheel cylinder and the spring perch. *Requires the use of longer wheel studs.